May buy any quantity. May redeem any quantity.See the terms that apply to all deals. 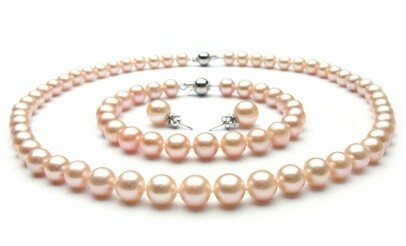 The pearls are pink in color with high luster, medium nacre, slightly off-round, and lightly spotted with good uniformity. Each set has been appraised at a $750 value. The appraisal is based on research of current market value and the "Gem Guide" published by Gemworld International, Inc.
CityDeals.com has limited quantities of beautiful, freshwater pearl jewelry in stock. Take advantage of this discount while quantities last!